University of Health Science Lahore Admission 2019 are open now for all the doctoral, undergraduate, post-graduate M.Phil, MD, MS, FCPS & MDS programs. 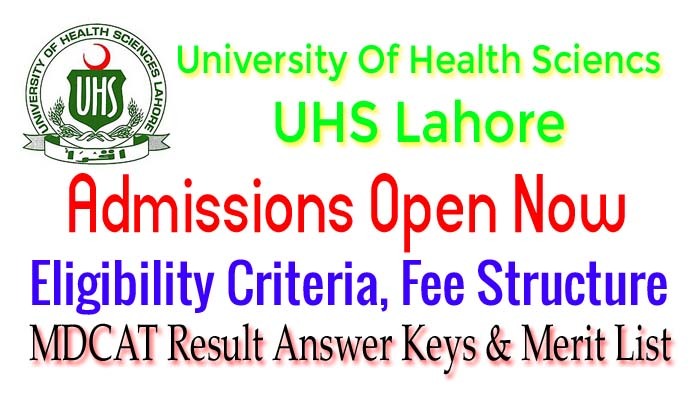 All the students who are willing to get admission in Lahore health science university should read all this article to know about UHS Admission 2019 last date, advertisement, eligibility criteria, MDCAT Test schedule, merit lists and scholarships. All this information should know by student who is going to apply for UHS 2019 Admissons. Here at webstudy.pk all the candidates can get information about UHS MDCAT Test Result 2019 as it will be announced and they can also know about what is eligibility criteria of UHS Lahore MBBS Program. Entry test answer keys, merit lists and application form download links are available here at this webpage. University of health science provide medical education for MBBS, BDS, Pharm-D, Bsc Hons, DPT, MD, MS, FCPS, MDS & MPhil degree programs. It also manage and organize the all medical colleges in Punjab, their MDCAT test, merit list and other tasks are done by UHS Lahore. UHS was established in 2002 and it is providing all the facilities to the students that they need at university to study well. It provide comprehensive guideline to all the medical students by providing them quality education in the field of medial. Students who wants to get admission in UHS Lahore should pass the MDCAT (Medical & Dental College Admission Test) with flying marks. 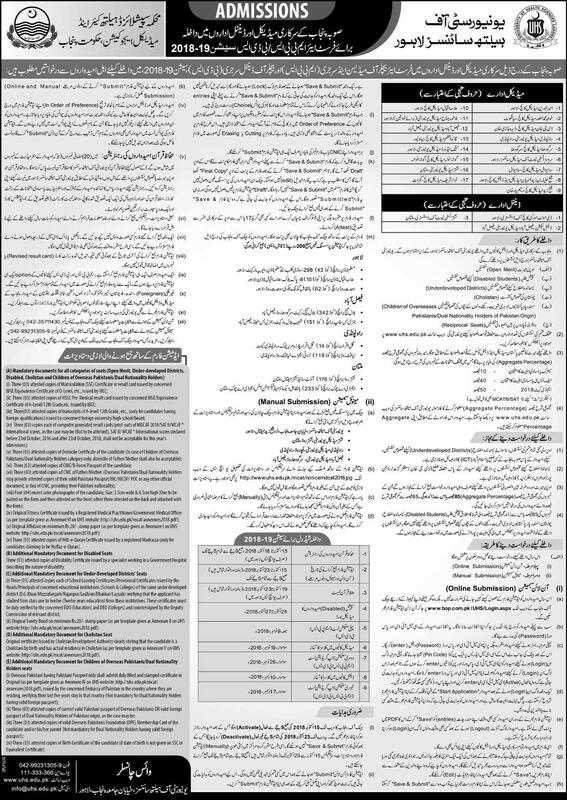 UHS Lahore MBBS Admission 2019 last date is mentioned on the advertisement with all the other details. UHS Lahore Fee Structure is also discussed in this article so read all the guidline to get informed. In childhood most of the students wishes to become a doctor as this is noble and well reputed profession but this is also a very difficult process to get admission MBBS or BDS because its merit is very high and students have to score good marks to get admission in medical field. Nowadays UHS is inviting applications for students who wants to get admission in MBBS, BDS, DPT, Bsc hons, MD, FCPS etc. All the students who got highest marks and thinks that they are eligible to get admission in UHS, they can apply for admission by following these steps. Applicant should get prospectus from university campus or they can download admission form from official website. Fill the form very carefully and attach all the required documents along with form and submit Rs 500 admission processing fee in the NBP bank branch and also attach the bank challan with form and send it to the admission office or director (admin and coordination) by post or by hand. Applications that will reach after due date will not be entertained. Admission shall be granted on the basis of merit only.